Home to one of the world’s greatest concentrations of wildlife and the majority of the Great Wildebeest Migration, Serengeti National Park is Tanzania’s flagship conservation area and a must-do for first-time and returning safari goers alike. Translated from the Maa language as, ‘The Land that Moves on Forever’, the Serengeti’s vast rolling grasslands and golden savannah give travellers a soul-stirring sense of space and support millions of wildebeest, as well as sizable populations of zebra, buffalo, elephant and giraffe and myriad gazelle and antelope species. And where there are plains game aplenty, predators – like lions, leopards, cheetahs, hyena and wild dogs - are sure to follow. The Serengeti is definitely a photographer’s paradise! 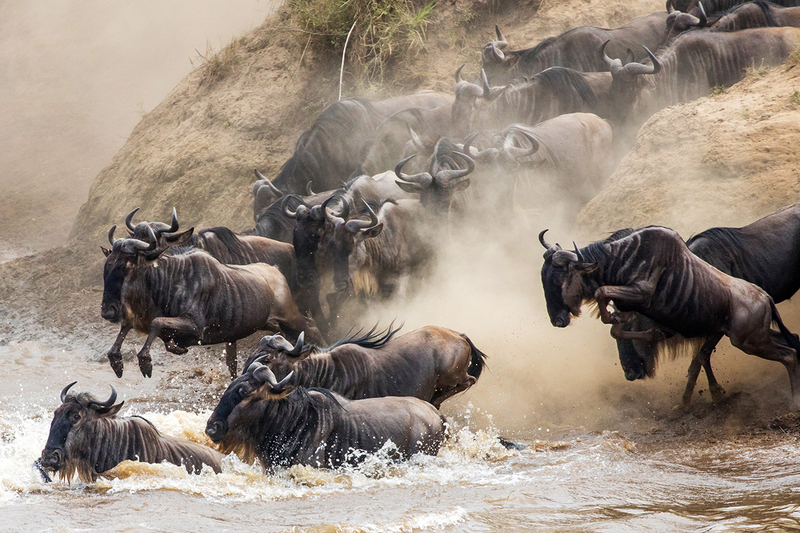 The majority of the fascinating and dramatic Great Wildebeest Migration takes place in the Serengeti. From about January to March, they are in the far Southern Serengeti. In April and May, they usually begin to move to the Central Serengeti. The herds generally continue moving north and west in June and July. From approximately August to October, they are crossing rivers into Kenya’s Masai Mara National Reserve. By November and December, the forerunners are mostly back in the Serengeti, ready to start the circular cycle all over again. Mobile camps move regularly to stay as close to the herds as possible. Accommodation options with easy access to traditional river crossing points. Rutting is very exciting as males fight for mating rights. Calving results in plenty of bittersweet predator action. Such is the density of wildlife in the Serengeti that it provides a spectacular safari experience no matter what time of year you visit. Although some of the wildebeest, zebra and antelope migrate to fresh grazing, not all do and none of the predators move with the herds either. The open plains, wide grasslands and temperate climate mean that the vegetation is never too dense or thick to see the animals, and the weather is very seldom too inclement to venture out (short-lived thunderstorms generally occur in the late afternoon and the animals don’t move away when it’s raining). 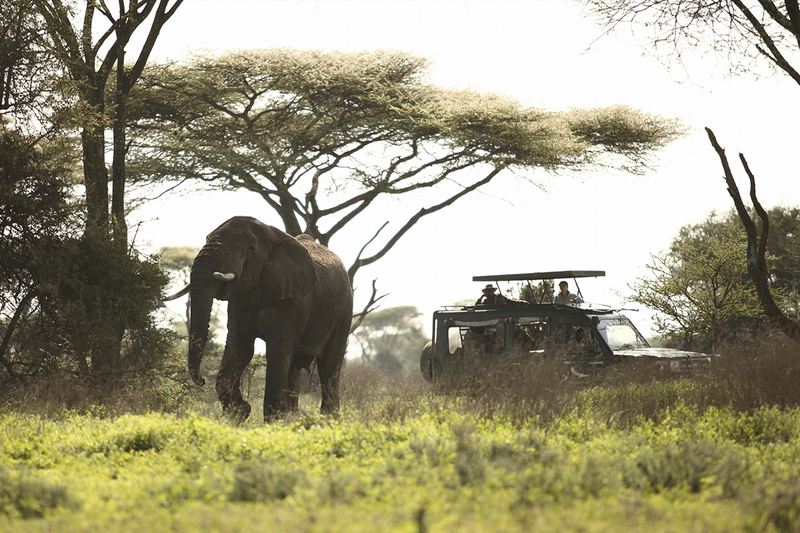 Off-roading, walking and night game drives are possible in the private conservancies that border the national park. The Green Season is much quieter and calmer, giving you much more space and time to absorb the beauty of the rain-replenished landscape. "Rangers were amazing with their knowledge"
All the safari camps were excellent - interesting and not too many people. Rangers were amazing with their knowledge of animals and birds. Meals and accommodation terrific. Saw the Wildebeest Migration in Serengeti Under Canvas… All well organised and once again accommodation in the park was a great advantage. 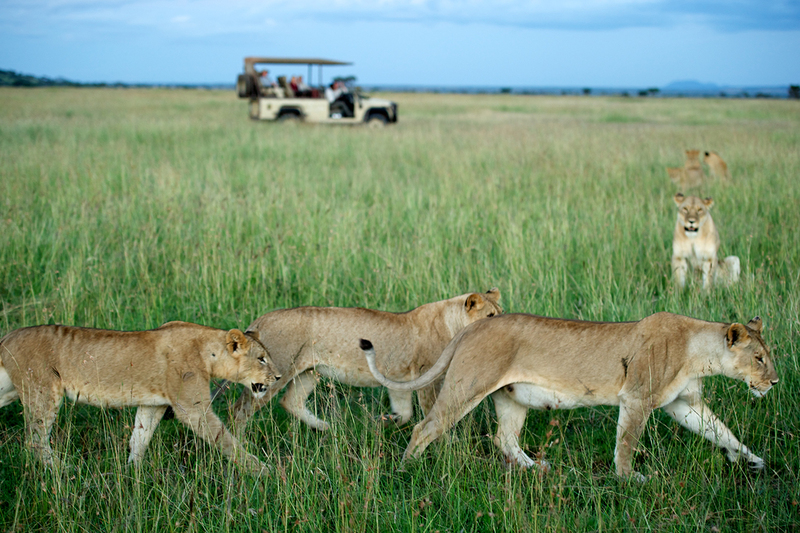 The Serengeti is a bucket-list item and many first-time visitors to East Africa want to tick it off. But such is the diversity of the wildlife present here that the area is suitable for those who’ve travelled to Africa many times before. If you have already seen the Migration, then branch out into a different time of year or one the private concessions – travelling in Green Season, for example, will be lusher and quieter, with far fewer other visitors. More and more lodges are now able to offer vegetarian and even vegan meals so those with special dietary requirements can be accommodated. The Serengeti is a pre-eminent safari area but there is far more to it than twice-daily game drives. Although game drives (in vehicles with closed or open sides, and with roofs or without – Tanzania has a wide variety) form the backbone of most itineraries, more and more lodges are branching out into other activities. Go on immersive nature walks with top guides. Spend a night fly-camping with just a back-to-basics set-up. 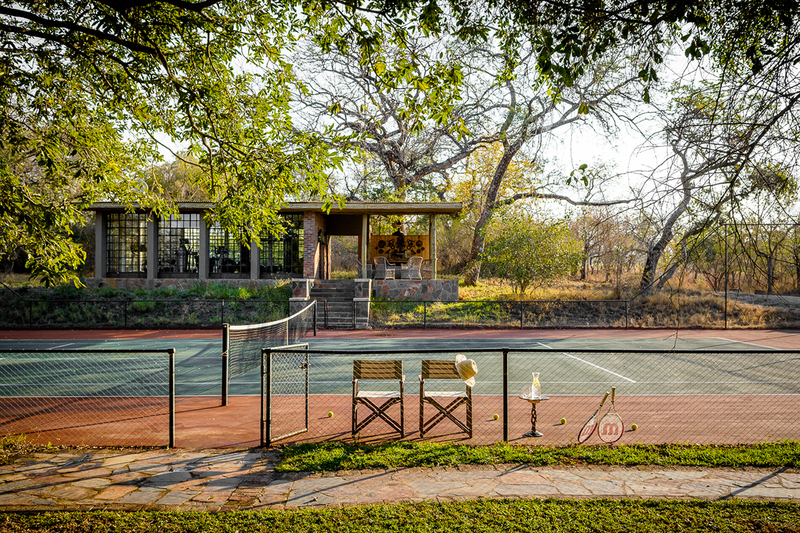 Exclusive safari villas may offer tennis or archery. Try mountain biking or horse riding in some private areas. Sign up for mobile camping if you’re adventurous. Because it is such an iconic destination, many travellers choose the Serengeti to celebrate all sorts of milestones in their lives. 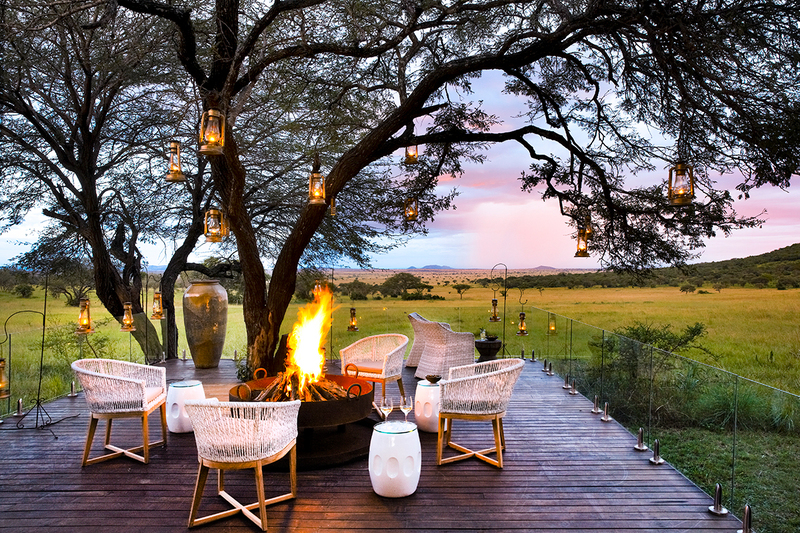 Our Africa Safari Experts have helped clients plan a Serengeti honeymoon, engagements, birthdays and even the occasional wedding ceremony. Logistics are easy, transfers are generally short by Africa’s standards and English is widely spoken. The staff enjoy being part of a special occasion and can arrange private dinners, romantic sundowners, fun-filled evenings with Maasai dancers and drummers, and even birthday cakes. Many lodges have special honeymoon suites that offer romantic turndowns, outdoor showers or tubs, and petal-strewn king-sized beds. Secure family suites or interleading tents as soon as you can since there are limited numbers of them and they are very popular. Let your consultant know if you are travelling with mobility impaired guests so we can arrange accommodation close to the mess tent so they don’t have to walk long distances. Many camps are unfenced to allow animals to pass through. There may be an age restriction on unfenced camps. Some lodges have special programmes and activities for younger children who may not want to go out on every game drive.